The Ion Cleanse footbath is an external detoxification method that removes toxins through the approximately 169 lymphatic system drainage points on the feet. The body detoxifies using positive and negative ions while you are comfortably seated with your feet placed in a container of warm water. The process takes 30 minutes and most people think it is quite relaxing. During the session you will notice the water changing colors as it begins to remove the toxins. These colors can range from light yellow to black, with different colors correlating to various toxins leaving your body. Staff will be available to interpret what the different colors represent. The footbath is beneficial to everyone. At the same time as you “recharge your battery”, the system allows your body to release and discharge toxins and pollutants that have been trapped on a cellular level. You won’t believe your eyes. 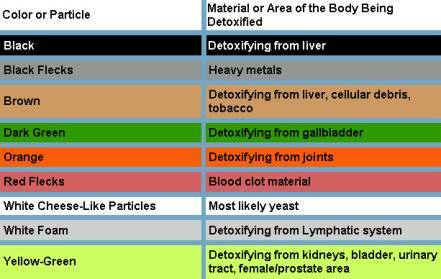 Even if you have a healthy lifestyle, you will still benefit form this system of detoxing. When our bodies get run down or overworked they become low on energy. Some benefits you can expect from the ION FOOTBATH unit include: Increased vitality, balanced meridians, pain relief, blood revitalization, faster recovery time, stress relief, reduced heavy metals (including mercury), adjust metabolism, reduced varicose veins, fluid retention, swelling, inflammation, better sleeping patterns and improved kidney and liver function.